As the Vancouver Real Estate market gears up for the usually busy spring buying season, sellers might be caught off guard. Home buying activity in Vancouver’s single family housing market has been eerily quiet to start 2018. Official numbers from the Real Estate Board of Greater Vancouver show detached home sales in the city of Vancouver registered a twenty seven year low for the first quarter of 2018. There were just 352 sales from January 1st to March 31st, eroding the previous low set in the first quarter of 2009. 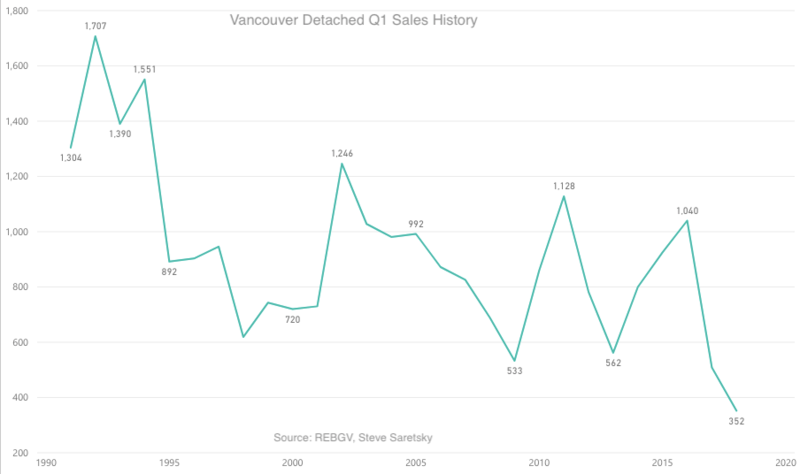 Vancouver detached sales history for the first quarter. While it would be convenient to chalk this one up to bad weather, this slowdown has become even more acute in the month of March. Detached sales for the month of March ticked in at just 136 sales, resulting in a 44% decline on a year over year basis, while simultaneously recording a 27 year low of it’s own. 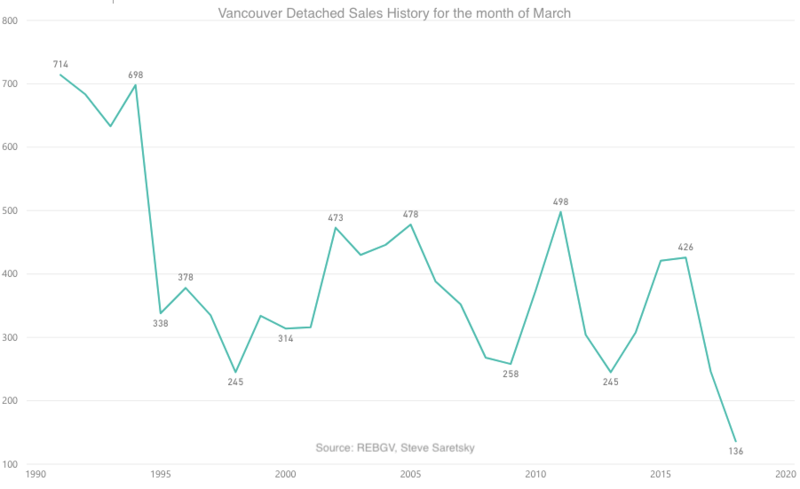 Vancouver Detached home sales for the month of March.